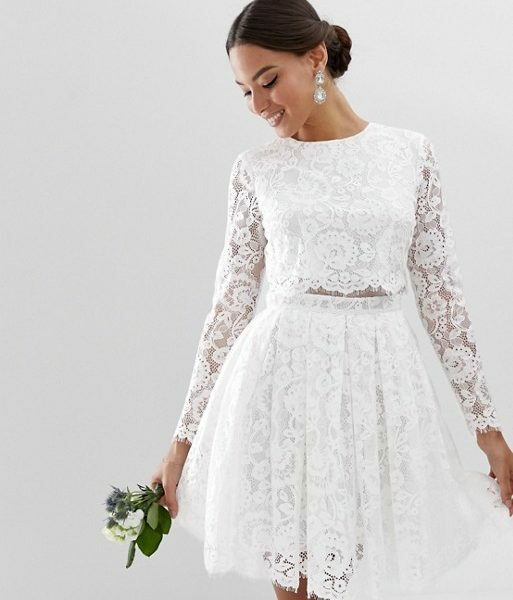 Indulge in a flourish of lace in the crop top lace mini wedding dress from ASOS Edition this season. 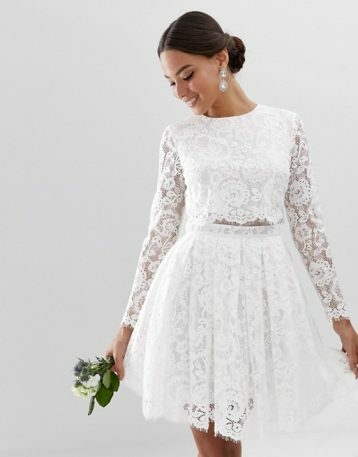 This mini style is adorned all over with delicate lace, a shelf overlay for a cropped style and long sleeves. This dress is guaranteed to turn heads this spring.